The Tiroler Zugspitz Arena comprises six separate villages in Northern Tirol sharing six different ski areas all on one ski ticket. Easy to reach from Geneva, 70 minutes away, this is a land of picturesque chocolate-box villages in the midst of jagged snow-capped peaks that has so far been largely undiscovered by British skiers. 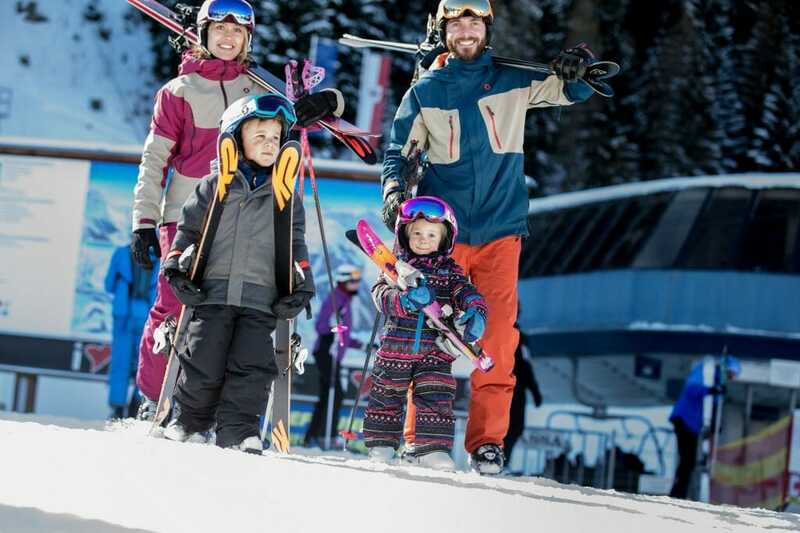 It offers family-friendly skiing in a blissfully relaxed atmosphere at affordable prices. The high-altitude terrain in Tiroler Zugspitz Arena features gloriously wide slopes with plenty of broad blues and swooping red runs – the perfect place for intermediate skiers of all ages to build up confidence. Altogether there are 139km of slopes to explore served by 58 mountain lifts and divided into six separate ski areas around the central Lermooser Moos, all linked by a free shuttle bus. 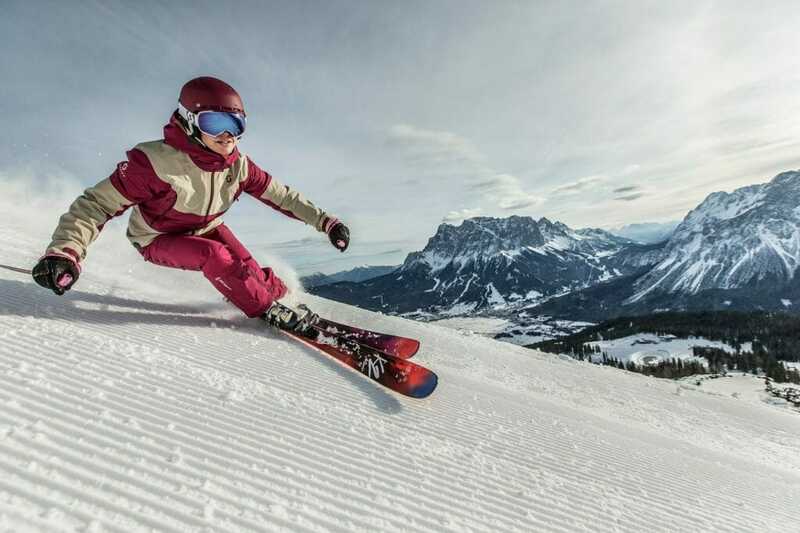 There’s something for every member of the family, though, and besides the gentle runs for beginners there are several more adventurous runs for the more experienced skier. 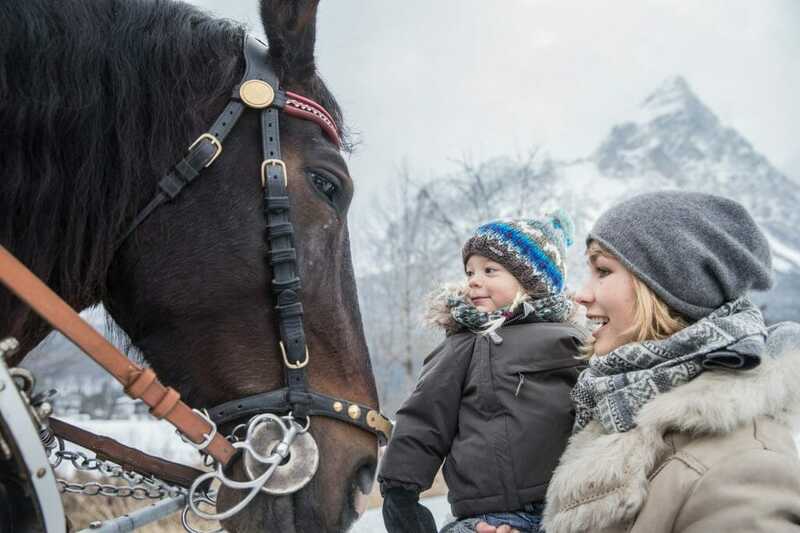 The Zugspitz Arena prides itself in offering an exciting array of evening activities for kids and adults alike. Speeding down floodlit slopes under the moon is a must-do and always a highlight of the holiday. There’s tobogganing every Tuesday and Friday at the Ehrwalder Alm, and the Gamsalm also arranges a weekly sledding night. There you walk up by foot through the crunchy snow to the hut where you can enjoy a hearty, warming meal before tobogganing down the valley. Night skiing, hiking with torches, ice-skating and floodlit ski night shows are also all on the list. The region offers a wide range of accommodation that is tailored to the needs of families with children of all ages. 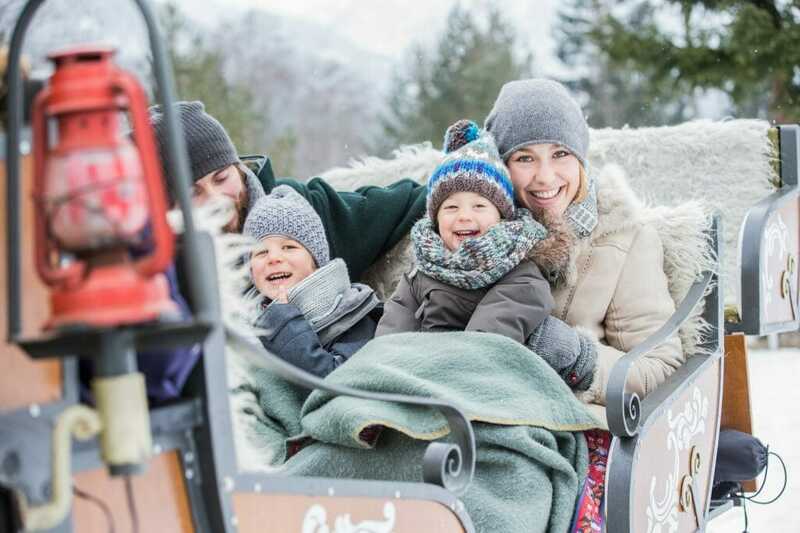 The Familotel Kaiserhof, for example, offers a brilliant family programme with specifically designed family rooms and the baby and kids’ clubs, which include a climbing wall, cinema, PlayStation, table-tennis and air-hockey games. Other great choices include the 4« Aktiv & Familienresort with childcare available and a swimming pool, or the Naturhotel Family Alm, which provides a home-from-home friendly environment, creating ideal family accommodation. When it comes to those first few weeks on snow, getting the best ski instruction is crucial. There’s a choice of five ski schools in Tiroler Zugspitz Arena, and competition between them, as well as a natural commitment to the highest standards, means they offer the best service. All sorts of tuition is available, from complete beginner one-on-ones to those needing a refresher course to re-find their ski legs. Lessons are available for children as young as two years old, and professional childcare is also provided. Patient and kind English-speaking instructors will help make children’s first skiing experiences memorable for the right reasons. There’s a fabulous choice of indoor activities to keep the family active during bad weather, or after skiing if the little ones still have energy left to burn. There’s an impressive indoor swimming pool that’s particularly good for children as well as a family bathing centre in the village of Ehrwald (a baby pool with a water jet penguin, a children’s pool with water animals and slide, and a huge slide for older ones) as well as a modern indoor climbing wall for all abilities to practise skills and even indoor tennis courts at the Eibsee Hotel.